It’s normal to worry about how our children will turn out in the future. Will they accept the values and ideals that we want to pass on to them? Will they follow the path we hope they will take? Is there a formula or method that will assure us of these things? There are no guarantees, but there are many things we can do to influence the outcome of our parenting. We could dedicate an entire book to this topic, but in this short space, we can highlight one important factor. This factor needs to be considered carefully, because it used to be taken for granted. It was a given in traditional cultures, but in modern society, it is less available. This factor is the place of parents in their children’s lives. I’m using the word “place” instead of authority, because “authority” has become overused and misinterpreted. Parents are told to be more authoritative, while at the same time, our culture is severely undermining parental authority. In the past several years, there has been a groundswell of professionals — psychologists, psychiatrists, consultants and therapists — to take care of children’s “problems.” The attitude that professionals can assess and take care of children better than parents has weakened parents’ confidence in themselves as the answer to their children’s psychological, emotional and spiritual needs. The attachment village, at one time, was more easily available for parents and children. It was the parents’ place to introduce their children to other adults who supported the family’s values. When the parent could depend on these adults, the child could be securely attached to all the adults in his life. 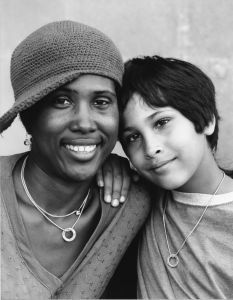 When a child’s attachments are disconnected from each other, the child can’t orient to both his parents and to other adults who serve as the parents’ support system. This also makes it more likely for the child to attach to other children instead of to adults, and then look to these children for direction. This has a direct impact on our influence to pass on our values and ideals to our children, when they are young and even more so when they are teenagers. The assumption that teenagers need to separate from their parents in order to find their individuality is false, and well-meaning adults easily assume that teenagers need friends more than their parents. Parents need to be the compass point for their teenagers no less than for their younger children. Assume responsibility to be your child’s compass point, guide, comforter and safe home base. You may not have all the answers, but it is more important to believe that you are the answer for your child, because no one cares as much as you do. Provide your child with secure and deep attachment, and continue to protect and nurture this relationship during all the years your child is growing up. This will give him the context he needs to internalize your values while he is developing more maturity and finding his own reasons to believe in these values. Make room for your child to express his own thoughts, ideas, opinions, questions and feelings. This will give him the room he needs within the relationship to become his own person. Listening to him without judgment will open discussions that give you a window into what he is exposed to and what he thinks about it. This gives you the influence you need while helping him cross the bridge from childhood to adulthood. Shoshana Hayman, Neufeld Institute Faculty, is an Attachment Parenting educator. She and her husband have 6 children and live in Israel, where she is the founder and director of the Life Center: The Israel Center of Attachment Parenting, through which she translates and publishes Attachment Parenting books in Hebrew and follows up with their workshop curriculums. She is also Israel's Regional Director for the Neufeld Institute.